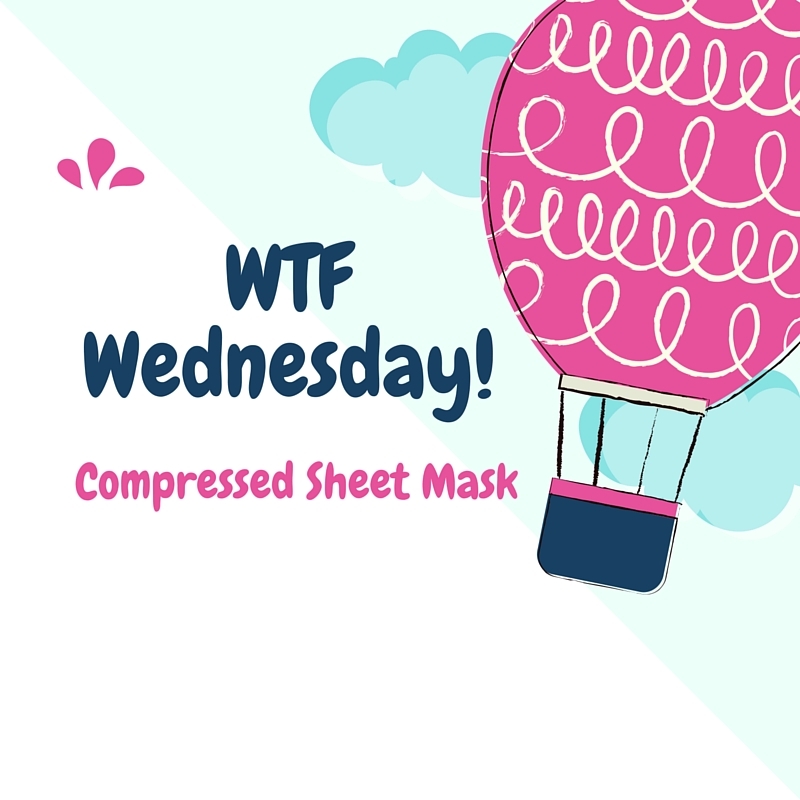 WTF Wednesday: Compressed Sheet Masks! This is a part of a new series where I will describe any new and interesting beauty finds. As I’m writing this, I look like a serial killer or maybe the phantom of the opera. I’m actually using a DIY compressed sheet mask. 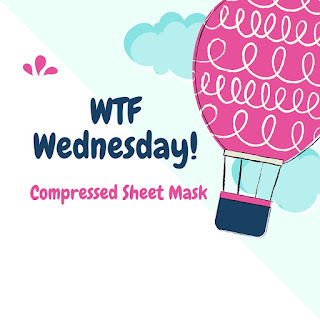 What the heck is a compressed sheet masks? Well, my dear Watson, a compressed sheet mask is just the dry pulpy mask that was compressed into the shape of a tablet without any of its juices (ok, essences. But sheet mask juice sounds funny to me). I got mine from a Japanese convenience store called MINISO, which is actually a heaven for stupidly cheaapp beauty finds. A pack of 40 costs RM10, therefore each sheet mask costs around 25 cents. Cheaper than RM1-RM2 sheet mask that I can get from SaSa. I think you can also get this masks from DAISO if you just want to try it out. If you’re like me who’s freaking lazy to apply lotion/essences but got more of those stuff piling up on your vanity, I recommend getting one pack of these. You can also use this to use up the essences in branded sheet masks packets that are generous with their essences. Right now I’m using the extra from my Innisfree It’s Real Squeezing mask in Aloe. I added some moisturizing lotion and WH10 It’s Skin Co Effector serum for good measure. To use the compressed sheet mask tablet, first mix up your choice of essence. I’m using a rose water essence from MINISO as well here in this picture with some hydrating essence. We also need to talk about that rose essence in another post. It’s the coolest essence I had ever seen. Then, drop your compressed mask tablet into the mixture and let it soak. You can add more essence if you think your mask is still dry. I let mine soak for a few hours but I think around 10-20 minutes is already sufficient. Let it soak, and unravel to reveal a sheet mask! The sheet masks from MINISO does not fit me that well, but it’s not the worst. The nose part is a bit small for my nose and the mouth part a bit low for my face. Overall, it’s a good addition if you don’t want to shell out so much money on sheet masks but still want to use it frequently in your beauty routine. I for one is going to repurchase this pack as I’m intending to wear sheet masks every day. And now I’m going to take a long nap while wearing my mask, thank you.